I am passionate about traveling and backpacking. My usual itinerary is as eventful as possible. As an avid traveller, when it comes to accommodation, hostels are my first option. 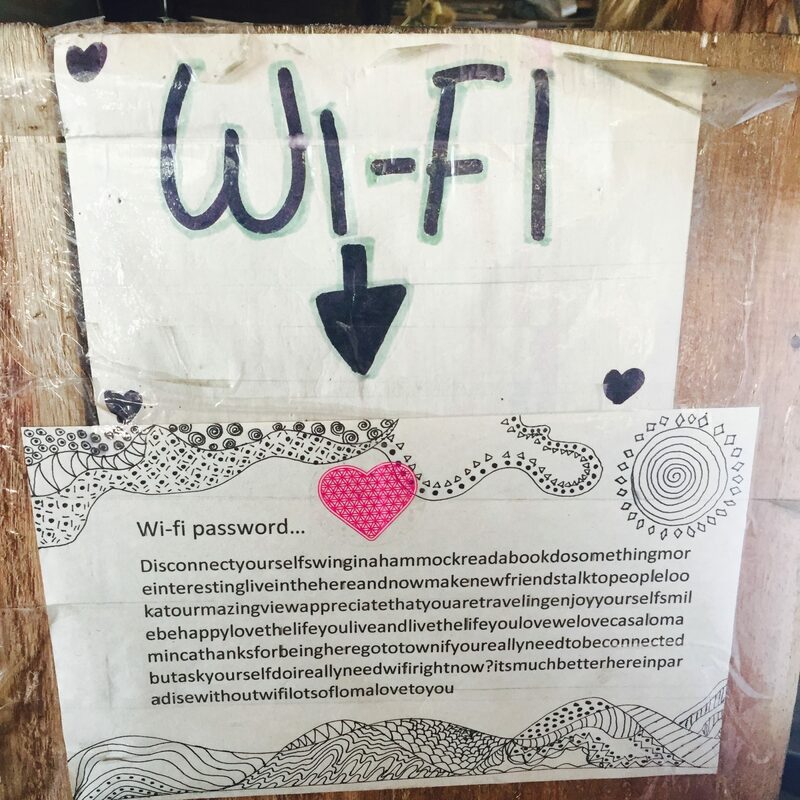 What do I look for in a hostel? In general, I look for a good location, relatively good reviews and a variety of services that the hostel offers free of charge or in exchange for a small fee. 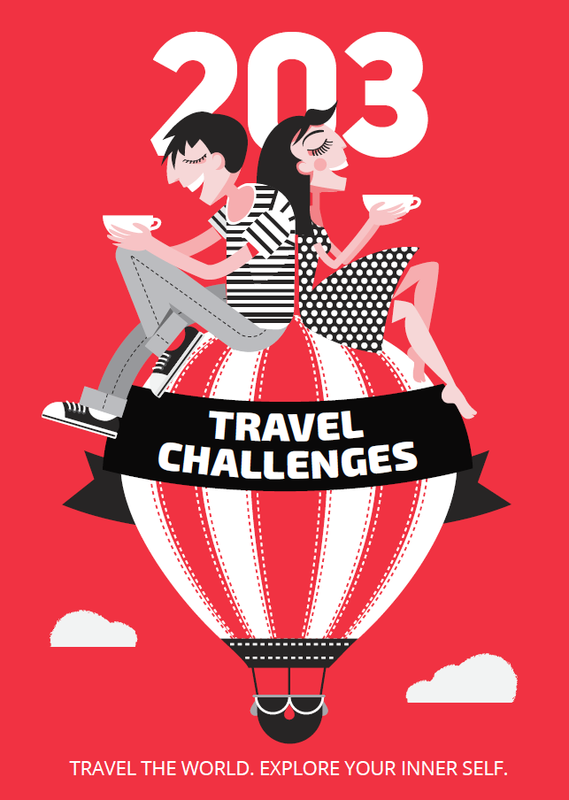 After all, you’ve got to make your money count, especially when traveling on a tight budget. 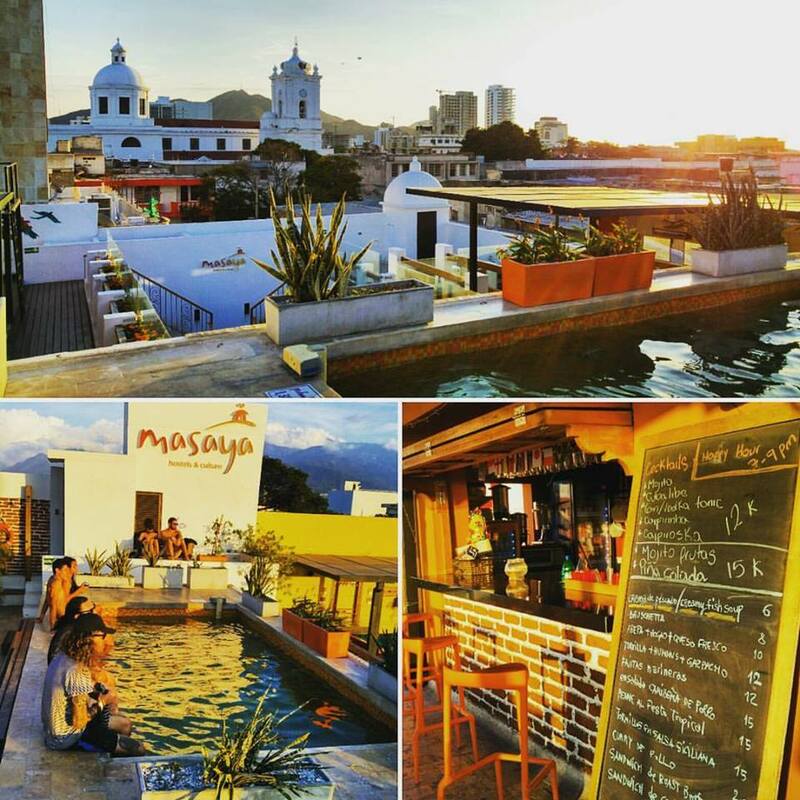 Located in the heart of Santa Marta, the second oldest city on the Caribbean coast, Hostel Masaya offers the most perfect hostel experience you could ask for! The hostel is situated in a National Heritage listed Colonial house with a spacious inside patio, three floors, and wooden staircases. The atmosphere takes you back in time. That’s not all – you can enjoy the two pools, a rooftop that has one of the best views of the Cathedral, relax-zones, hammocks, deckchairs, and a cozy bar where you can sip on late night drinks or have breakfast in the morning. 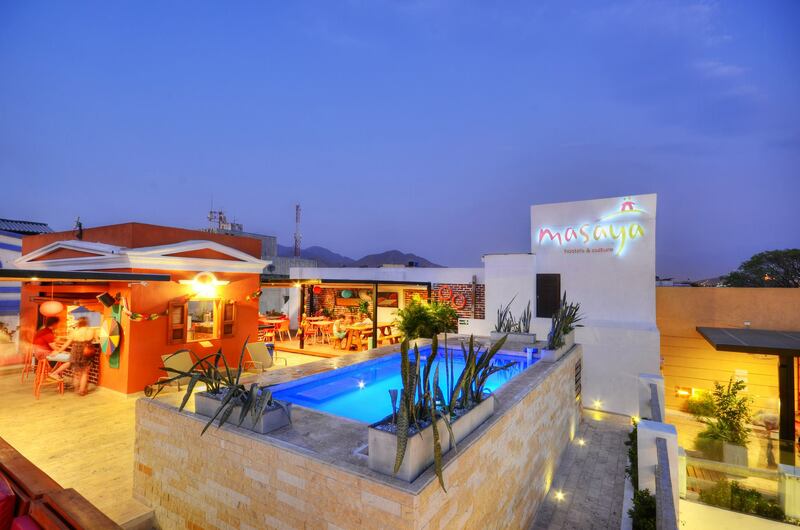 Masaya aims at being not only a comfortable hostel, but a social place. 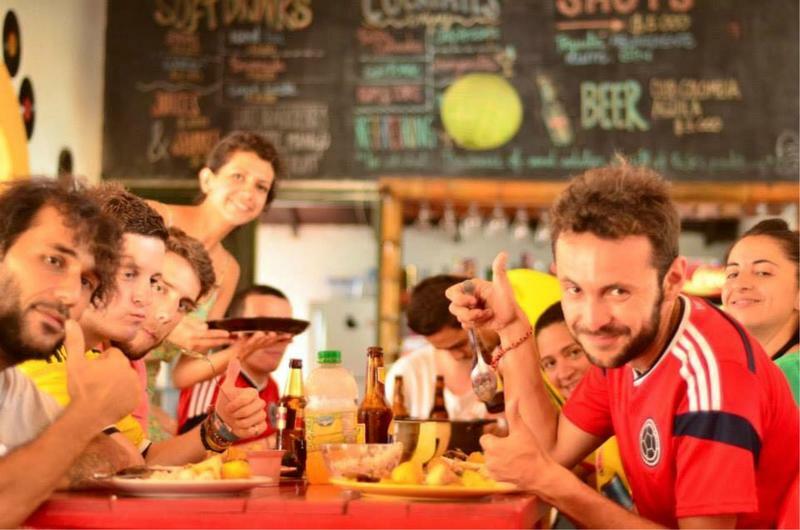 The hostel offers a different 100% Colombian cultural activity every day. 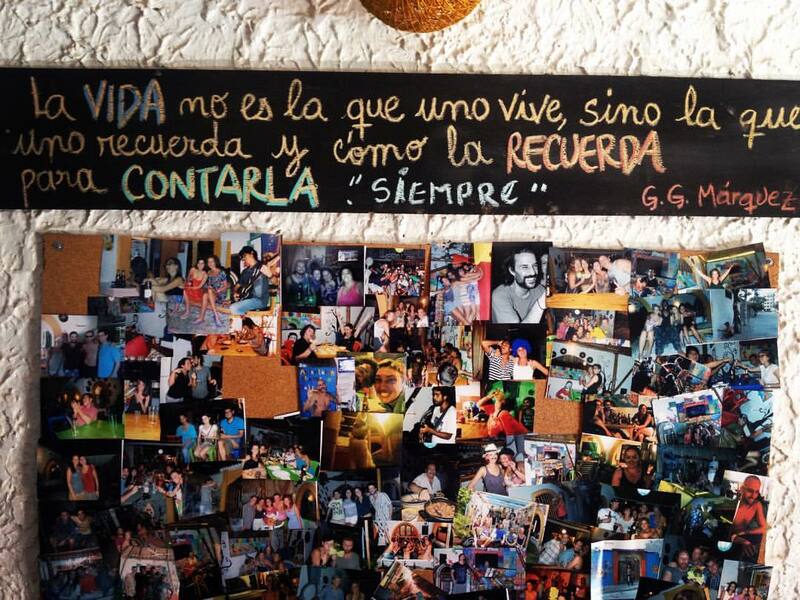 There are salsa lessons, cooking classes, live music and Spanish parties! The first time I walked in Hostel Masaya I truly thought it was the hostel with the most unique atmosphere I have ever been to. I ended up staying there twice during my trip – once in a dorm, once in a private room. Both are comfortable, spacious, with nearly 5-meter tall ceilings. 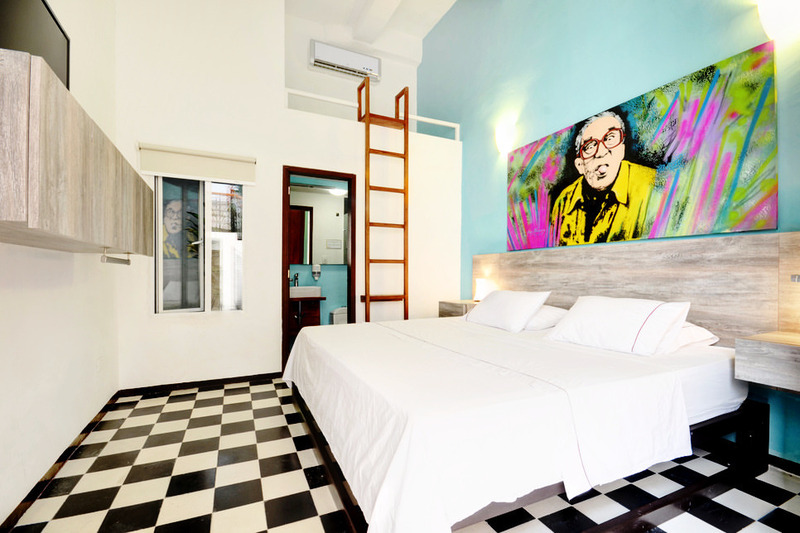 The private rooms are named after famous Colombians such as Gabriel Garcia Marquez, Shakira, Carlos Vives, Juan Valdez and more, and there is a catchy colorful theme going on in each one of them. My stay at Masaya made me reconsider the way I travel. I decided that from now on I will put aside more time to dive in the local atmosphere and just to relax. Even for as little as two days, I enjoyed every minute of my Masaya experience drinking mojitos at the rooftop and swinging in the hammocks. The staff was friendly and helpful. Casa Loma is the place to chill, relax, detox and go offline! 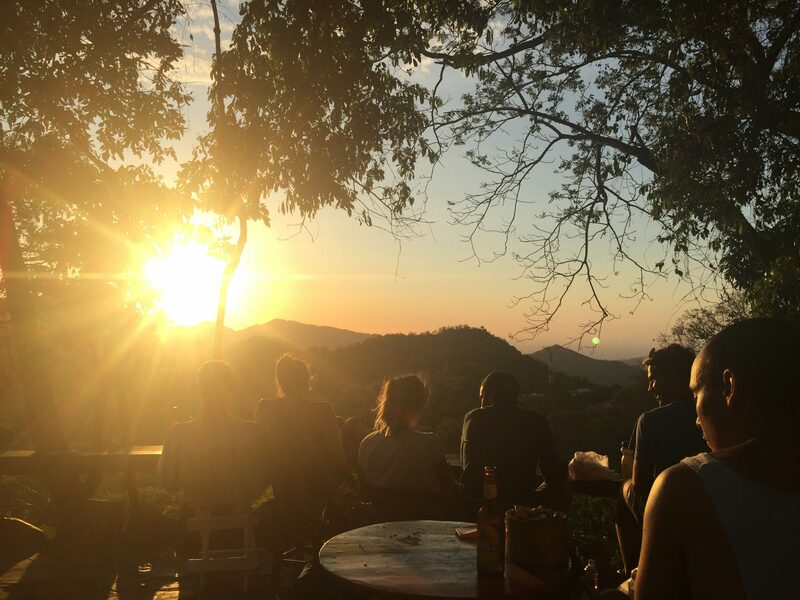 It is an alternative hostel with open-air dorms and hammocks situated on a hill overlooking Santa Marta and the Sierra Nevada National Park. In order to reach the hostel, you first have to hike about 10 minutes up cobblestone stairs. The view at the top is totally worth it, particularly at sunset! The hilltop wooden house is the main building of the house. You will find the kitchen and common area there, as well as a couple of terraces and a few hammocks to enjoy the view. Casa Loma is surrounded by tropical forest and you can hear birds singing everywhere! With no roads, cars, shops or noisy neighbors you will be able to fully enjoy the peace and quiet, reconnect with your inner self, just lie in a hammock, drink a beer or take a nap. 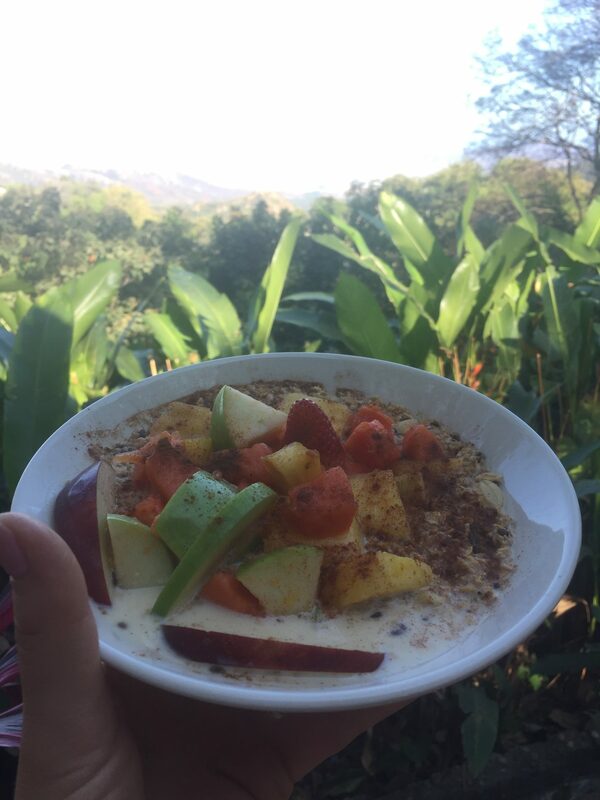 The hostel serves only vegetarian food and it offers a delicious set breakfast menu and a daily lunch and dinner menu. They are famous for their curry and Mexican nights. I was happy to arrive in time for sunset, so I could join the dozen lucky people on the terrace for happy-hour cocktails with an amazing view. A couple of passion fruit Mojitos later we all watched in awe as the sun set behind the mountains. 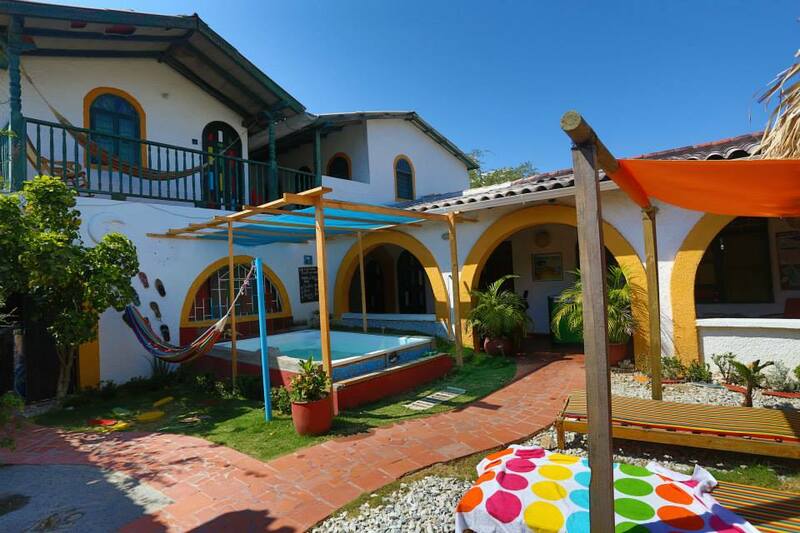 Casa del Ritmo is a typical colorful house located near El Rotadero – one of the famous beaches on the Caribbean coast. I spent only one night there on my way back from Minca. 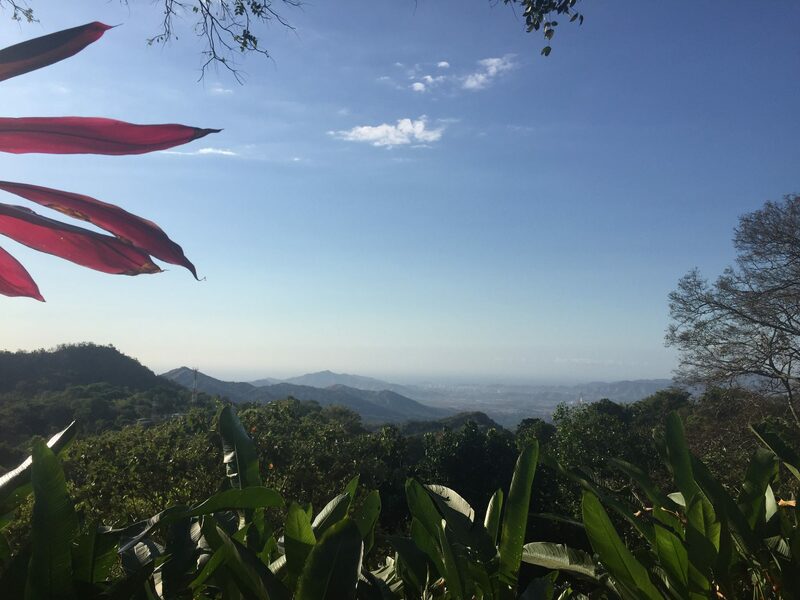 It was towards the end of my Colombia trip but the setting and atmosphere, and especially the friendly service made me feel at home. The hostel was not busy at the time, so I was pampered by the staff’s full attention and hospitality. Sandra showed me around and recommended dinner and drink options. She is funny and just great! 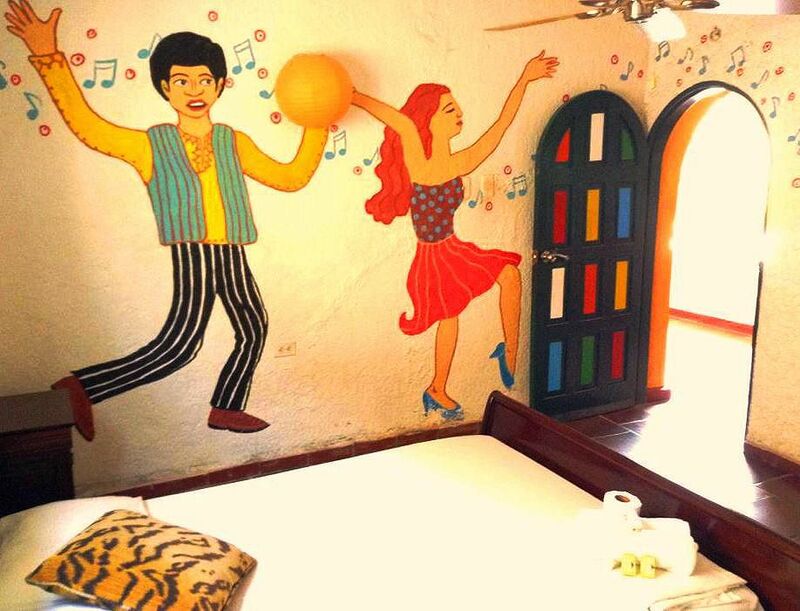 Every room is named after a different music genre – Pop, Jazz, Bossa Nova, Tango, Salsa and so on. I got Salsa! 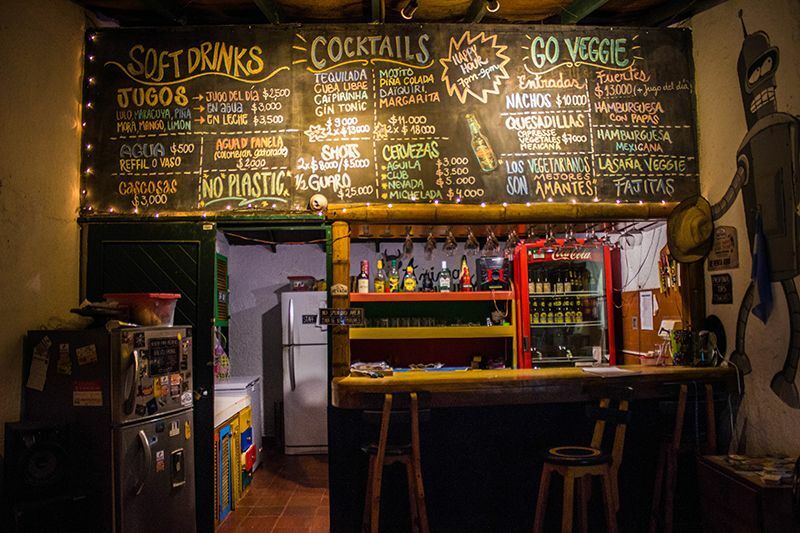 Talking about food, this is another veggie hostel that offers fresh local food. Don’t miss the happy hour of the Art bar! They use real fruit for their Mojitos, Margaritas and Caipirinhas. Casa del Ritmo is also one of the few places where I was able to find the limited addition coca-infused beer Happy Coca from the Nevada brewery. If you have an extra day or two, consider joining some of the different activities the hostel organizes. 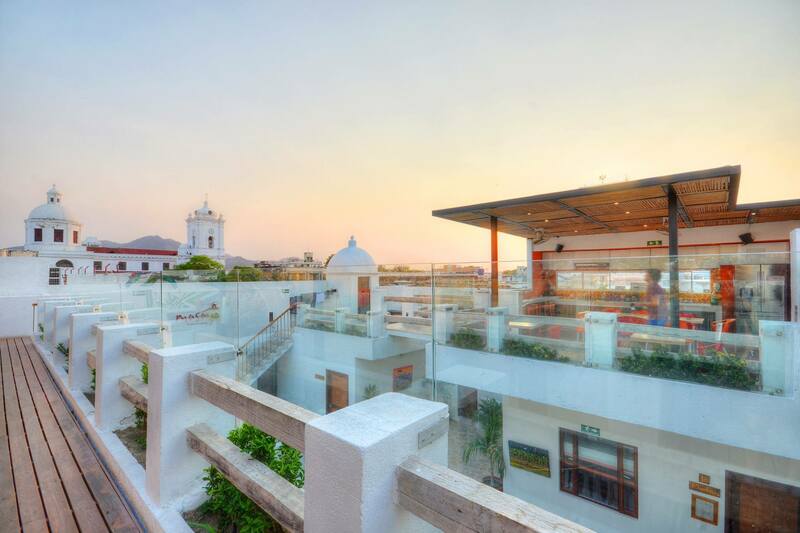 They include sunset yoga on the beach, zumba classes, live music and open mic jam sessions, movie and popcorn, poker nights, salsa parties and many more. Note: I was not paid to write this review and I did not receive a free stay in exchange. I paid for my room just like you… but I loved it so much that I felt it deserved this write-up!